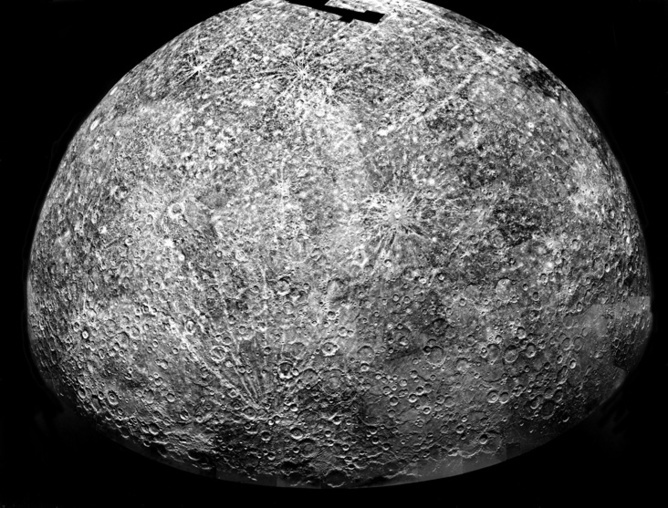 A photo-mosaic of images collected by Mariner 10 as it flew past Mercury showing the planet’s southern hemisphere. By the numbers: MESSENGER’s ten years in space (2014). in November 2012, NASA announced, evidence of water ice and carbon-containing tar-like organic compounds molecules at both of Mercury’s poles. 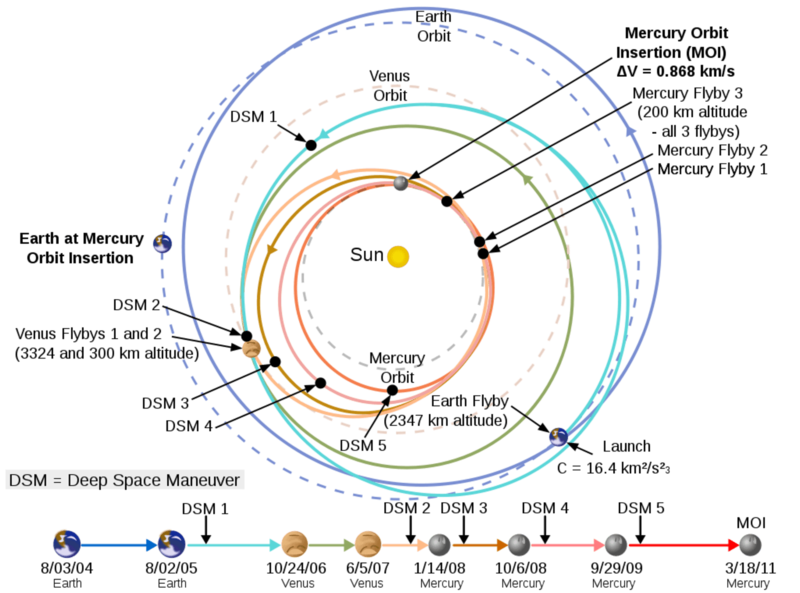 In these areas the deepest parts of the craters are always in shadow with temperatures reaching as low as -200C. Kandinsky crater lies near Mercury’s north pole, and may have hosted water ice. 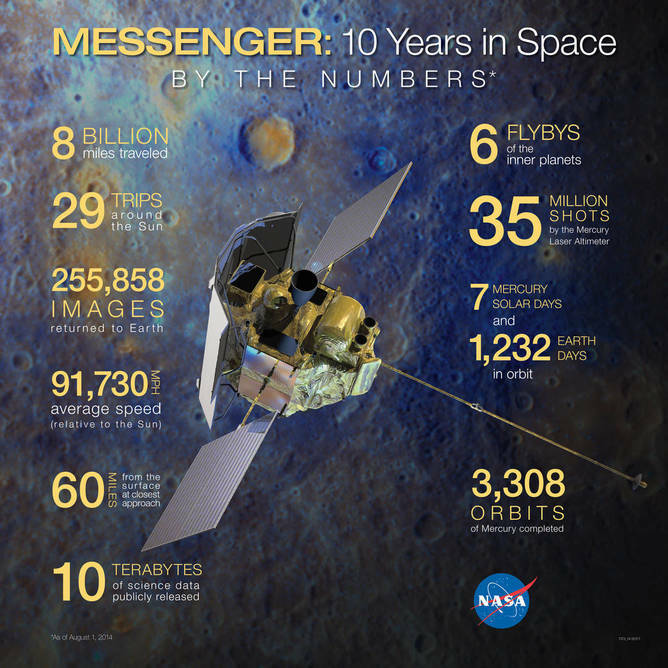 MESSENGER spacecraft’s Wide Angle Camera broadband image appears at left, outlined in yellow, and superimposed on an MDIS polar mosaic. 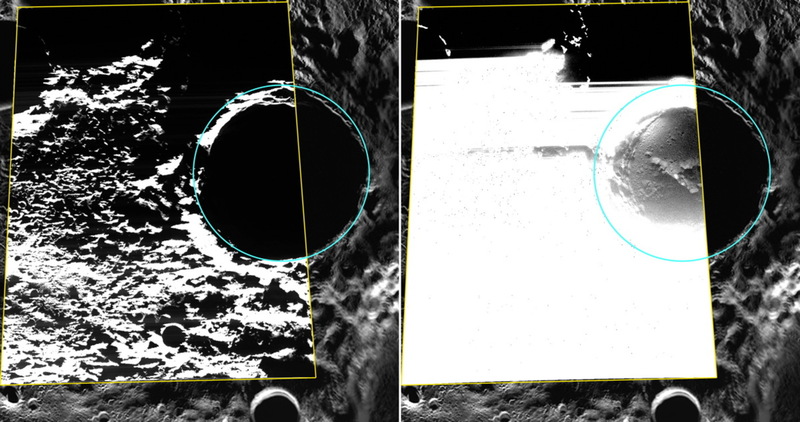 The view on the right shows the same image but with the brightness and contrast adjusted to show details of the crater’s shadowed floor. 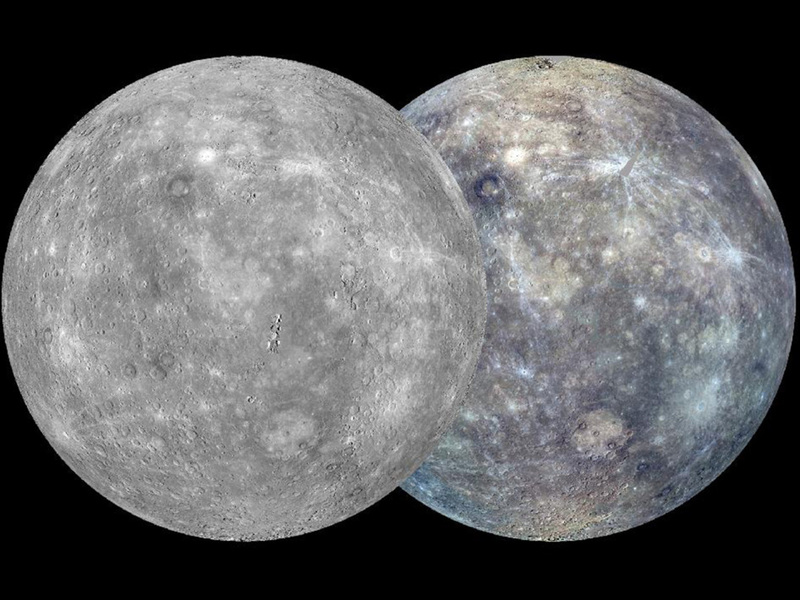 The globe on the left was created from the MDIS monochrome surface morphology base map campaign. The globe on the right was produced from the MDIS colour base map campaign. Each map is composed of thousands of images, and the colour view was created by using three of the eight colour filters acquired. The launch of the European Space Agency’s BepiColombo planned mission to Mercury is planned to take place during a one-month long window from January 27, 2017.